Tennis scoring is one of the most brilliant inventions in modern sport. There aren’t too many sports out there where winning more points can still mean losing a match. While not overly common, such an anomaly happens more than one would expect. 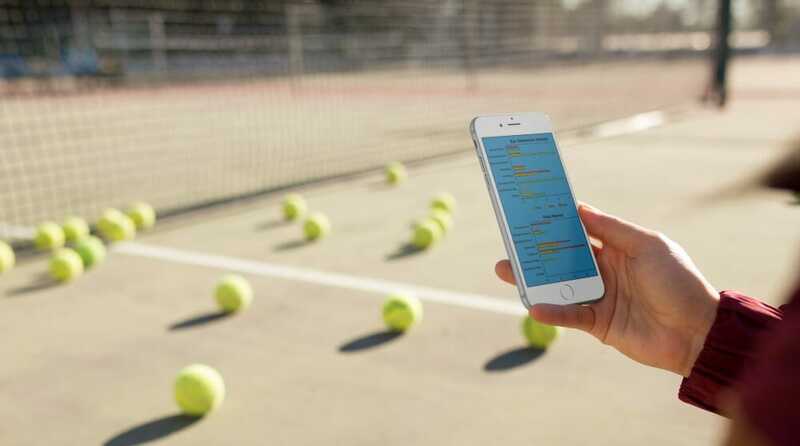 As tennis has evolved as a sport, so have the scoring formats used to determine the outcome of a match. Even at the pro level, there are more scoring formats now compared to 40 years ago. Just ask pro doubles players who now play short deuce and a first to 10 point match tiebreak at 1 set all. GT STATS has pre-loaded scoring formats that cover most competitions and tournaments. Tap one when you’re loading a match and away you go. We’ve also catered to those who use a different format. Loading your own format is as easy as filling in a few fields and saving it for next time. Most commonly used in ATP and WTA singles. First to 6 games with a set tiebreak at 6-all. First player to win 2 sets wins. Instead of playing a third set to decide a match, it’s become fairly common to decide a match with a first to 10 “Super” or “Match” tiebreak if the first two sets are shared. Note, pro doubles use the sudden death or “No-Ad” scoring format instead of long deuce. You won’t find this in pro tennis, but it’s sometimes necessary in junior competition to shorten the format due to weather delays, for example. This one’s first to 4 games per set with a match tiebreak at 1 set all. More common in North America than other parts of the world, the Super Set is normally first to 8 games with a first to 12 point tiebreak at 8 games all. First to 6 games. Most commonly used in week to week competition and team based play, especially at the junior level. First to 10 points with normal tiebreak scoring. I use this a lot in junior squad classes to get juniors used to the pressure of Match Tiebreaks. That just about covers the most common formats. What about anything that isn’t listed? Loading your own match format is fairly straightforward. The best part is you have the ability to load almost any format you like. If you want to load stats for a best of 11 set match, all sets short, with short deuce and a first to 5 point tiebreak at 3-all each set…….you can do it. The image in this article is exactly that format. One thing to remember is that “Games per Set” should be the minimum number of games a player needs to win in order to win the set. Under normal circumstances, this would be 6 games. GT STATS will assume that you’re playing a set that requires a margin of 2 games to win the set unless a tiebreak is required. So, if the “Games per Set” is 9, GT STATS will not record set completion at a score of 9-8. It will assume 10-8 has to be the score to win the set. FAST4 isn’t a pre-loaded format nor a format you can add yourself. This is because of the final point of a tiebreak being sudden death ie the ninth point. While sudden death deuce is supported, a sudden death point in a tiebreak is not an option at this stage. There’s also the issue of the order of serving in a FAST4 tiebreak. The way around this at the moment is to reverse the server/receiver using the arrows on the serve/return screen. See FAQs to find out how. To load a sudden death point in a tiebreak of a FAST4 can be done by loading the final point as normal, then tapping the “+” next to that player’s name on the serve/return screen to finish the match. That way, you won’t compromise the integrity of the stats you’ve loaded. Should there be enough demand, we’d be happy to consider loading FAST4 as a stand-alone format, so Contact Us and let us know. You can also use the Comments section of this page.